Instant decision loans from £100 to £2000! Unsure if you’ll be accepted? Check Here First. You must be 18 or over to apply with us. You must be earning £800 per month or more. SupaLoans is a 100% no fee, FREE service. Getting the right loan for you made easy. Our application process is 100% secure and we’re based in the UK. UK based customer service when you need it. As a leading loan broker service we exist to find you the most suitable lender for your situation. 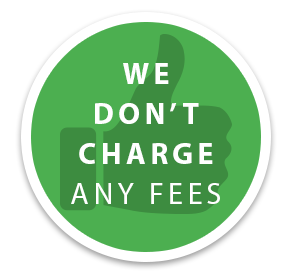 Mediablanket Ltd is a credit broker and never charge you for the use of their service or take money from your account. Loan costs will vary depending on the lender. We use a consumer application system to allow our customers to make applications to a number of loan providers and brokers using a single online application form. You can request details of these commissions or fees, by emailing us at hello@mediablanket.co.uk. We will then provide you with the precise amount of the commission or fee or, where that amount is not known, the likely amount. Please note that the lender or broker we direct you to may not offer the cheapest loan that is available to meet your needs.